Posted by renees1 in Uncategorized. Despite all the drama, I survived the first taping, on location in my home, of a new podcast for parents called “Just Desserts”. The podcast is part of a greater project for ESSDACK called “My Kids Turn.” Our hope is to reach out to parents and offer them ideas to use with their kids. I liken it to a session of the television show Survivor because that is how I see myself in this instance. I Survived!!!!!! I was extremely nervous after experiencing a practice taping in the studio at ESSDACK. I hated being up in front of my colleagues and the camera. Talk about dry mouth, jangling nerves, and a churning stomach. The days leading up to the actual shoot weren’t much better. To say I was dreading being caught on tape is an understatement. 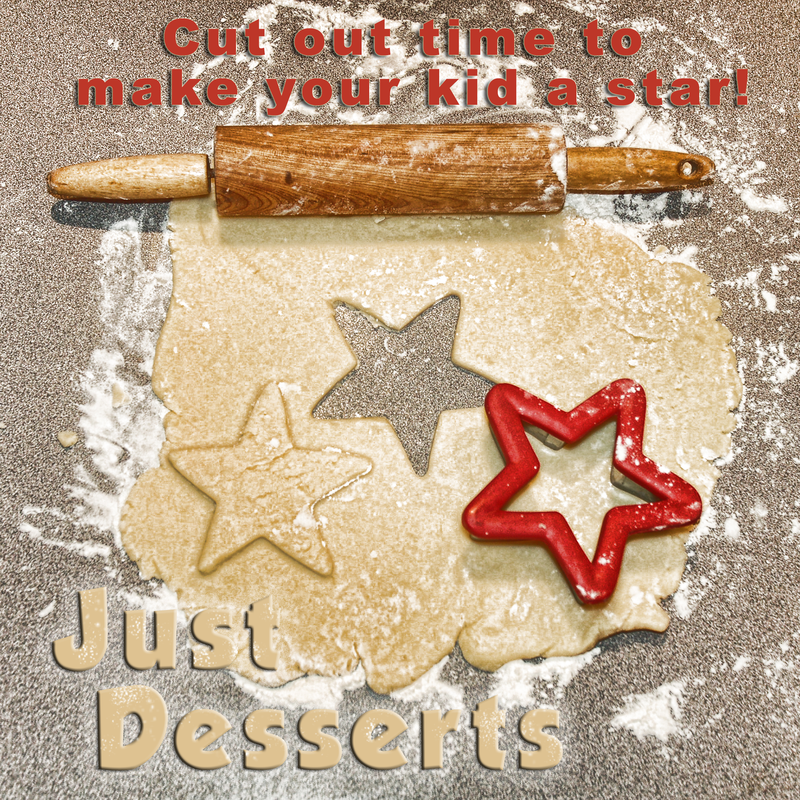 Check out “Just Desserts” and let me know what you think. I am always looking for ideas to share with parents so if you have suggestions, please let me know. All in all, it was a pretty great experience and I shouldn’t have gotten so worked up over the whole thing. I hope to keep that in mind the next time I have to tape. Just “sum”thing for me to think about! Posted by renees1 in Data/Probability. In a math workshop last week, several math teachers commented that their students understood how to compute mean, median, and mode but they didn’t always understand that all three measures of central tendency were types of averages. When asked for an average of a set of data, their students continually referred to mean. To help students understand that mean was not always the best measure of central tendency, I had the teachers try the following activity from ASCD’s, Meaningful Mathematics: Leading Students Toward Understanding and Application. The things we liked most about the activity were: the use of a concrete manipulative to create the set of data, the use of a concrete manipulative to find mean, and the use of an outlier to drastically change the mean. Teachers were asked to make a stack of unifix cubes the height of the number of letters in their first name; ie., Renee took five unifix cubes. When everyone at a table group had their stack, the information collected was transferred to a bar graph. This would be the time to review the elements of a graph, if necessary. Next, the teachers were asked to find the mode and median of their set of data. A discussion of modes could occur at this point; does a set of data always have a mode and can a set of data have more than one mode? Finally, I asked the teachers to find a way to make all their stacks have the same number of unifix cubes. This resulted in a discussion of what to do with the cubes that were remainders; an excellent way to determine whether students have a good grasp of fractions. At this point, students had determined mode, median, and mean. To help students understand that mode or median might be a better measure of average than mean, I asked the teachers to pretend a new teacher was joining their group. The new teacher’s name was “Tikki tikki tembo-no sa rembo-chari ruchi-pip peri pembo” which contains 46 letters and would be an outlier in their set of data. I displayed the size of the bar using the unifix cubes. They were asked to add this new name to their bar graph, and then determine the new mode, median, and mean. The teachers were excited about this activity because they thought it would make a real impression on their students. The median and mode usually did not change but the mean changed drastically from a central number due to the size of the new name. Just “sum”thing to think about! Recently, I had the opportunity to present a session with Michelle Flaming at the National Council of Teachers of Mathematics Regional Conference in Nashville, Tennessee. Our topic was “This is Your Brain on Math” and the response to our session has been extremely positive. During our session, which was designed for a 5-8 audience but had applications for other grades as well, we acquainted the participants with the four portions in the brain that must be activated and connected for students to achieve in mathematics. We also shared activities that were designed to stimulate and connect those portions of the brain. Our powerpoint and activities can be found at math.essdack.org under the NCTM Nashville Title. Posted by renees1 in Algebra, Data/Probability, Geometry, Number Sense. We shouldn’t just teach rules or procedures in math. Students may learn them long enough to pass a test but without conceptual understanding to link back to, few will retain the information for any length of time. This is why teachers feel the need to re-instruct yearly on topics like math facts, fractions, and formulas. We are notorious for asking, “Why didn’t they teach you this last year?” when in fact the previous teacher did teach the topic. Students need concrete and pictorial experiences before they learn procedures and it is up to us as educators to provide them with quality problems that encourage true understanding. Thanks for dropping in! Feel free to poke around. We'll talk about mathematics, differentiated instruction, my dogs, or whatever I happen to be reading.